a. Total population includes foreign residents. Maltese residents population estimate at end 2004 was 389,769. All official population data provided by the NSO. b. Maltese lira before 2008. Malta , officially the Republic of Malta (Maltese: Repubblika ta' Malta, pronounced ), is a Southern European island country comprising an archipelago of seven islands in the Mediterranean Sea. It lies 80 km (50 mi) south of Sicily, 284 km (176 mi) east of Tunisia, and 333 km (207 mi) north of Libya. The country covers just over 316 km2 (122 sq mi), making it one of the world's smallest and most densely populated countries. 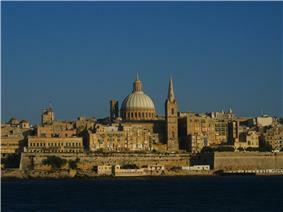 The capital of Malta is Valletta, which is also, at 0.8 km2, the smallest capital in the European Union. Malta has two official languages: Maltese and English. Malta's location has given it great strategic importance as a naval base throughout history, and a succession of powers, including the Phoenicians, Romans, Moorish, Normans, Sicilians, Habsburg Spain, Knights of St. John, French and the British, have ruled the islands. Malta gained independence from the United Kingdom in 1964 and became a republic in 1974. Malta was admitted to the United Nations in 1964 and to the European Union in 2004; in 2008, it became part of the Eurozone. Malta is a popular tourist destination with its warm climate, numerous recreational areas, and architectural and historical monuments, including nine UNESCO World Heritage Sites: Hal Saflieni Hypogeum, Valletta, and seven Megalithic Temples, which are some of the oldest free-standing structures in the world. The origin of the term Malta is uncertain, and the modern-day variation derives from the Maltese language. The most common etymology is that the word Malta derives from the Greek word μέλι, meli, "honey". 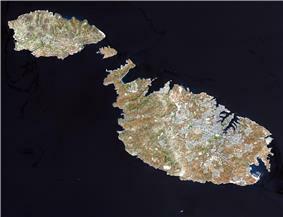 The ancient Greeks called the island Μελίτη (Melitē) meaning "honey-sweet" (which was also, inter alia, the name of a Nereid), possibly due to Malta's unique production of honey; an endemic species of bee lives on the island, giving it the popular nickname the "land of honey". The Romans went on to call the island Melita, which is the latinisation of the Greek Μελίτη. Another theory suggests that the word Malta comes from the Phoenician word Maleth meaning "a haven" in reference to Malta's many bays and coves. Few other etymological mentions appear in classical literature, with the term Malta appearing in its present form in the Maritime Itinerary (Itin. Marit. p. 518; Sil. Ital. xiv. 251). Pottery found by archaeologists at Skorba resembles that found in Italy, and suggests that the Maltese islands were first settled in 5200 BC mainly by stone age hunters or farmers who had arrived from the larger island of Sicily, possibly the Sicani. The extinction of the dwarf hippos and dwarf elephants has been linked to the earliest arrival of humans on Malta. Prehistoric farming settlements dating to Early Neolithic period were discovered in open areas and also in caves, such as Għar Dalam. Malta became involved in the Muslim–Byzantine Wars, and the conquest of Malta is closely linked with that of Sicily that began in 827 after admiral Euphemius' betrayal of his fellow Byzantines, requesting that the Aghlabid dynasty invade the island. The Muslim chronicler and geographer al-Himyari recounts that in 870 AD, following a violent struggle against the occupying Byzantines, the Muslim invaders, first led by Halaf al-Hadim, and later by Sawada ibn Muhammad, looted and pillaged the island, destroying the most important buildings, and leaving it practically uninhabited until it was recolonised by the Muslims from Sicily in 1048–1049 AD. It is uncertain whether this new settlement took place as a consequence of demographic expansion in Sicily, as a result of a higher standard of living in Sicily (in which case the recolonisation may have taken place a few decades earlier), or as a result of civil war which broke out among Muslim rulers of Sicily in 1038. The Muslims introduced new irrigation, some fruits and cotton and the Siculo-Arabic language was adopted on the island from Sicily: it would eventually evolve into the Maltese language. The Christians on the island were allowed freedom of religion; they had to pay jizya, a tax for non-Muslims, but were exempt from the tax that Muslims had to pay (Zakaat). The Normans in 1091, as part of their conquest of Sicily the Norman leader, Roger I of Sicily, was welcomed by the native Christians. The notion that Count Roger I reportedly tore off a portion of his checkered red-and-white banner and presented it to the Maltese – forming the basis of the present-day Maltese flag in gratitude for having fought on his behalf – is founded in myth. "Photos of Malta". Photos of Malta. Retrieved 26 May 2008. Jones, H. Bowen; et al. (1962). 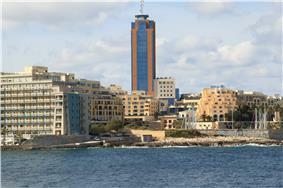 Malta Background for Development. Dhurham College. Carolyn Bain (2004). Malta. Lonely Planet Publication. Paul Williams (2009). Malta – Island Under Siege. Pen and Sword Books. Rudolf, Uwe Jens; Berg, W. G. (2010). Historical Dictionary of Malta. USA: Scarecrow Press. p. 43. United Nations Development Programme (2006). Human Development Report 2005 – International cooperation at a crossroads: Aid, trade and security in an unequal world. Oxford University Press. ^ "Malta: General data of the country". Populstat.info. Retrieved 14 November 2010. ^ "Estimated Population by Locality - 31st March, 2013". Malta Government Gazette no. 19094. Retrieved 27 September 2014. ^ a b c d "Malta". International Monetary Fund. Retrieved 17 April 2013. ^ Lesley, Anne Rose (15 April 2009). Frommer's Malta and Gozo Day by Day. John Wiley & Sons. p. 139. ^ a b Census of Population and Housing 2005: Preliminary Report. Valletta: National Statistics Office. 2005. 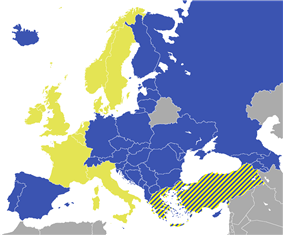 ^ "European Microstates". Traveltips24.com. 22 December 2008. Retrieved 31 March 2009. ^ "Career guidance in Malta: A Mediterranean microstate in transitio". Ingentaconnect.com. 16 June 2006. Retrieved 31 March 2009. ^ "The Microstate Environmental World Cup: Malta vs. San Marino". Environmentalgraffiti.com. 15 December 2007. Retrieved 31 March 2009. ^ "Top 10 Things to See and Do in Malta". Mercury Direct. Retrieved 04/10/2013. ^ a b "Department of Information". Doi.gov.mt. 3 March 2008. Retrieved 2 August 2008. ^ a b c Central Intelligence Agency (CIA). "Malta". 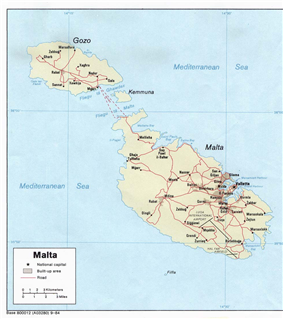 ^ "Chapter 1 – The Republic of Malta". Legal-Malta. Retrieved 4 September 2011. 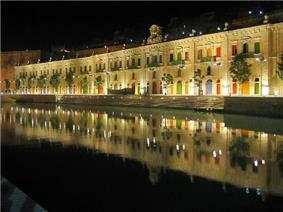 ^ "City of Valletta". UNESCO. Retrieved 18 January 2014. ^ Μελίτη, Georg Autenrieth, A Homeric Dictionary, at the Perseus Project. ^ "Controversy over unique Maltese bee population". Malta Today. 6 February 2008. ^ a b c d e f g h i j k l m n Castillo, Dennis Angelo (2006). 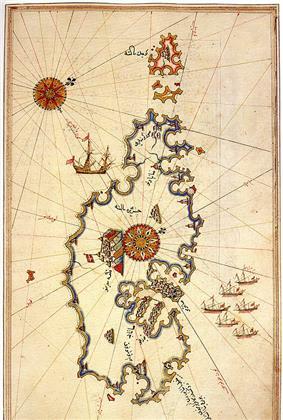 The Maltese Cross: A Strategic History of Malta. Greenwood Publishing Group. ^ Pickles, Tim (1998). 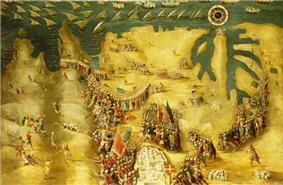 Malta 1565: Last Battle of the Crusades. Osprey Publishing. ^ Robin Skeates (2010). An Archaeology of the Senses: Prehistoric Malta. Oxford University Press. pp. 124–132. 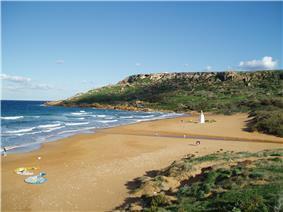 ^ "Gozo". IslandofGozo.org. 7 October 2007. ^ Sheehan, Sean (2000). Malta. Marshall Cavendish. ^ "Archaeology and prehistory". Aberystwyth, The University of Wales. Retrieved 31 March 2009. 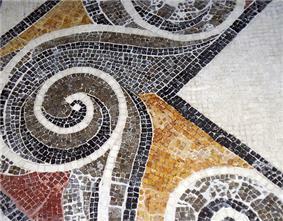 ^ "Visit Malta-Malta,Gozo,Comino-Museums in Malta-Museum of Archaeology". Visitmalta.com. Retrieved 2 August 2010. ^ "Ancient mystery solved by geographers". Port.ac.uk. 20 April 2009. Retrieved 14 November 2010. ^ Mottershead, Derek; Alastair Pearson & Martin Schaefer (2008). "The cart ruts of Malta: an applied geomorphology approach". Antiquity 82 (318): 1065–1079. 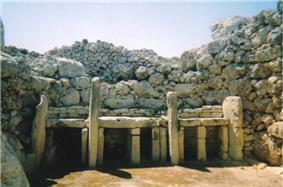 ^ Daniel Cilia, The Megalithic Temples of Malta"Malta Before Common Era", in . Retrieved 28 January 2007. ^ Piccolo, Salvatore; Darvill, Timothy (2013). Ancient Stones, The Prehistoric Dolmens of Sicily. Abingdon/GB: Brazen Head Publishing. ^ a b "Notable dates in Malta's history". Department of Information – Maltese Government. 6 February 2008. 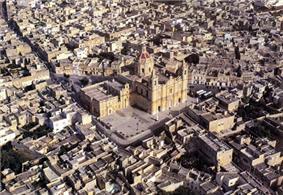 ^ "History of Mdina". Edrichton.com. ^ a b Terterov, Marat (2005). Doing Business with Malta. GMB Publishing Ltd.
^ a b Borg, Victor Paul (2001). The Rough Guide to Malta & Gozo. Rough Guides. ^ Wilson, Andrew (2006). Corpus Linguistics Around the World. Rodopi. ^ Bain, Carolyn (2004). Malta & Gozo. Lonely Planet. ^ Stefan Goodwin. Malta, Mediterranean bridge, Greenwood Publishing Group 2002. p. 31 ISBN 0897898206. ^ Christian Peregin. "Maltese makeover". timesofmalta.com. Retrieved 2 August 2010. ^ "Superintendance of Cultural Heritage". ^ Dennis Angelo Castillo (2006). The Maltese Cross: A Strategic History of Malta. Greenwood Publishing Group. p. 55. ^ Robert Montgomery Martin "Statistics of the colonies of the British empire" (1839). p. 574. ^ "This day, May 15, in Jewish history". Cleveland Jewish News. ^ Holland, James (2003). Fortress Malta: An Island Under Siege, 1940–1943. Miramax Books. ^ "Malta definition of Malta in the Free Online Encyclopedia.". Free Online Encyclopedia – List of Legal Holidays. Retrieved 8 July 2013. ^ "SETTE GIUGNO". Visitmalta – The official tourism website for Malta, Gozo and Comino. Retrieved 8 July 2013. ^ Breacher, Michael (1997). A Study of Crisis. University of Michigan Press. p. 611. ^ Grima, Noel (2 October 2011). "Retaining Guido De Marco’s Euro-Mediterranean vision". The Malta Independent (Standard Publications Ltd.). Retrieved 1 October 2014. 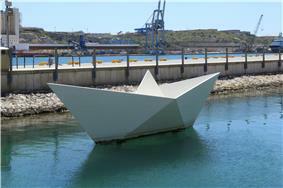 ^ Borg, Annaliza (17 April 2013). "10 years ago: Malta signs EU accession treaty". The Malta Independent (Standard Publications Ltd.). Retrieved 1 October 2014. ^ "The History of the European Union – 2000–today". Retrieved 12 October 2007. ^ "Cyprus and Malta set to join eurozone in 2008". 16 May 2007. Retrieved 12 October 2007. ^ "Chapter 1 / The Republic of Malta / Maltese Constitution". Constitution of Malta Act, 1964. Retrieved 12 October 2007. ^ "Local Council Act of Malta" (PDF). Retrieved 20 October 2013. ^ Commission for the Geological Map of the World. "Geodynamic Map of the Mediterranean". Retrieved 28 November 2008. 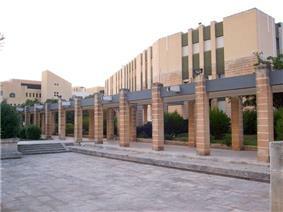 ^ "Geothermal Engineering Research Office Malta". ^ a b c "Malta's Climate". Retrieved October 2013. ^ a b "Met Office: Climate averages 1971–2000". ^ "Eurostat, Malta". Urbanaudit.org. Retrieved 20 October 2013. ^ "Demographia: World Urban Areas" (PDF). Retrieved 20 October 2013. 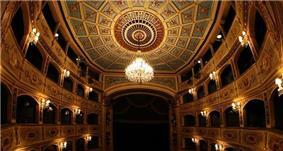 ^ 'Draft National Strategy for the Cultural and Creative Industries – Creative Malta''"'". Creativemalta.gov.mt. Retrieved 20 October 2013. ^ The emblem of Malta", Department of Information""". Doi.gov.mt. Retrieved 20 October 2013. ^ Dolar Solutions Ltd claims to be Malta’s leading renewable energy company. ^ "Unprecedented growth for Malta's film industry". Times of Malta (Allied Newspapers Limited). 21 July 2010. Retrieved 1 October 2014. ^ "Silent films showed scenes shot in Malta". Times of Malta (Allied Newspapers Limited). 4 November 2012. Retrieved 1 October 2014. ^ Carabott, Michael (14 July 2005). "Incentives To boost film production in Malta". The Malta Independent (Standard Publications Ltd.). Retrieved 1 October 2014. ^ Eurostat (21 March 2013). "Regional GDP per capita in the EU in 2010: eight capital regions in the ten first places". Europa web portal. Retrieved 25 March 2013. ^ Michael Sammut, Charles Savona-Ventura (1996). "Petrol Lead in a Small Island Environment". International Journal of Risk & Safety in Medicine 9: 33–40. ^ – Transportation statistics"NationMaster". Retrieved 19 February 2007. ^ "Ministeru għall-Infrastruttura Transport u Komunikazzjoni – Transport Pubbliku". Mitc.gov.mt. Retrieved 15 September 2011. ^ Sansone, Kurt (23 December 2013). "New Year in, Arriva out". ^ Name (6 November 2012). "Investment in fibre networks stimulates national FttH ambitions in Malta – BuddeBlog". Buddeblog.com.au. Retrieved 26 March 2013. 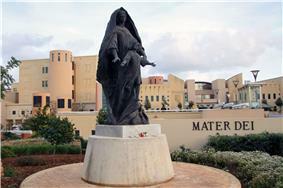 ^ "More Maltese travel abroad". The Malta Independent. Retrieved 12 October 2007. ^ Malta signs Cooperation Agreement with ESA. Esa.int. Retrieved on 7 June 2012. ^ "Maltese living in poverty". Timesofmalta.com. Retrieved 20 October 2013. ^ a b National Statistics Office (2005). Demographic Review 2004. Valletta: National Statistics Office. p. 59. ^ a b "World Population Day – 2006: Special Observances" (Press release). Valletta: National Statistics Office. 10 July 2006. Retrieved 12 July 2006. ^ "Chapter 255. Marriage Act". Docs.justice.gov.mt. Retrieved 14 November 2010. ^ Timesofmalta.com – Population in Malta, Gozo exceeds 410,000. Times of Malta (12 July 2008). ^ "Europeans and languages" (PDF). European Commission. September 2005. p. 4. Retrieved 29 January 2007. ^ A. Luttrell, The Making of Christian Malta: From the Early Middle Ages to 1530, Aldershot, Hants. : Ashgate Varorium, 2002 ISBN 0860788490. ^ "2011 Report of Jehovah's Witnesses Worldwide". watchtower.org. ^ "International Religious Freedom Report 2003 – Malta". ^ "EU Work permits and restrictions to labour market in EU countries-Your Europe". European Commission. October 2012. Retrieved October 2012. ^ "Frendo holds talks with three European Union Commission Members" (PDF) (Press release). Valletta: Ministry of Foreign Affairs. 30 January 2006. Retrieved 6 July 2006. ^ Sandford, Daniel (21 October 2005). "Immigrant frustration for Malta". BBC News Europe. Retrieved 12 October 2007. ^ "Statement by the Minister of Foreign Affairs Dr. Michael Frendo to resident EU Ambassadors on irregular immigration in Malta" (PDF) (Press release). Valletta: Ministry of Foreign Affairs. 3 July 2006. Retrieved 6 July 2006. ^ "Immigrants refused entry into Malta". The Sunday Times (UK). 16 July 2006. Retrieved 17 July 2006. ^ Frendo, Michael (5 July 2005). 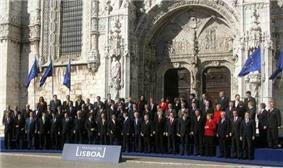 "EU Foreign Ministers Council" (PDF). Ministry of Foreign Affairs. Retrieved 6 July 2006. ^ a b Jones, Huw R. (1973). "Modern emigration from Malta". Transactions of the Institute of British Geographers 60: 101–119. ^ King, Russell (1979). "The Maltese migration cycle: An archival survey". Area 11 (3): 245–249. ^ "Education in Malta". Retrieved 12 October 2007. ^ "The Health Care System in Malta_1". Sahha.gov.mt. Retrieved 31 March 2009. ^ "Government of Malta – Health Services". Gov.mt. Retrieved 31 March 2009. ^ "Healthcare in Malta – Allo' Expat Malta". Alloexpat.com. 17 October 2006. Retrieved 31 March 2009. ^ "The World Health Organization's ranking of the world's health systems". Photius.com. Retrieved 8 July 2009. ^ info@icon.com.mt (2 July 2004). "St. Philip's Hospital – A modern 75-bed hospital equipped with the latest medical technology – Malta". Stphilips.com.mt. Archived from the original on 20 October 2007. Retrieved 31 March 2009. ^ a b """D. Cutajar, "An Overview of the Art of Malta. Hopeandoptimism.com. Retrieved 31 March 2009. ^ J. Cassar Pullicino, "A New Look at Old Customs", in Studies in Maltese Folklore, Malta University Press (1992). ^ "Isle of MTV 2012". http://www.gozoandmalta.com. Retrieved 28 June 2012. ^ "Malta New Years Eve Celebrations". Maltanewyearseve.com. Retrieved 2 August 2010. ^ "Jeff Fenech". Youngvictorboxing.com.au. Retrieved 31 March 2009. ^ a b Joseph Borg. Media Landscape – Malta – European Journalism Centre. Centre for Communication Technology (8 November 2010). ^ "MCA Communications Market Review, July to December 2012". Malta Communications Authority. Retrieved 11 June 2013. ^ "Census of Population and Housing 2011 (Preliminary Report)". National Statistics Office, Malta. Retrieved 11 June 2013. There are six major nationwide television channels in Malta: TVM, One Television, NET Television, Smash Television, Favourite Channel, Calypso Music TV, TVM 2 and TVM HD – currently transmitted by analogue terrestrial, free-to-air signals. The state and political parties subsidise most of the funding of these television stations. The Public Broadcasting Services is the state-owned station and is a member of the EBU. Media Link Communications Ltd and One Productions Ltd are affiliated with the Nationalist Party and Labour Party respectively. The rest are privately owned. The Broadcasting Authority supervises all local broadcasting stations and ensures their compliance with legal and licence obligations as well as the preservation of due impartiality; in respect of matters of political or industrial controversy or relating to current public policy; while fairly apportioning broadcasting facilities and time between persons belong to different political parties. The Broadcasting Authority ensures that local broadcasting services consist of public, private and community broadcasts that offer varied and comprehensive programming to cater for all interests and tastes. There is a great presence of the institutions – church, political parties, trade unions – in the print media, though not as in the broadcasting media. Trade Unions are not represented in the broadcasting media, but are in the print media, and only the General Workers Union owns a newspaper. The UHM, the second-biggest union, has no newspaper, TV, or radio stations. Holy Week (Maltese: il-Ġimgħa Mqaddsa) starts on Palm Sunday (Ħadd il-Palm) and ends on Easter Sunday (Ħadd il-Għid). Numerous religious traditions, most of them inherited from one generation to the next, are part of the paschal celebrations in the Maltese Islands, honouring the death and resurrection of Jesus. Mnarja, or l-Imnarja (pronounced lim-nar-ya) is one of the most important dates on the Maltese cultural calendar. 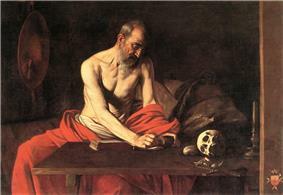 Officially, it is a national festival dedicated to the feast of Saints Peter and St. Paul. Its roots can be traced back to the pagan Roman feast of Luminaria (literally, "the illumination"), when torches and bonfires lit up the early summer night of 29 June. The statue of St. George at the festa of Victoria, Gozo. Parliament established the National School of Art in the 1920s. During the reconstruction period that followed the Second World War, the emergence of the "Modern Art Group", whose members included Josef Kalleya (1898–1998), George Preca (1909–1984), Anton Inglott (1915–1945), Emvin Cremona (1919–1986), Frank Portelli (b. 1922), Antoine Camilleri (b. 1922) and Esprit Barthet (b. 1919) greatly enhanced the local art scene. 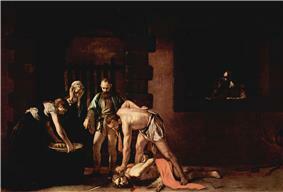 In Valletta, the National Museum of Fine Arts features work from artists such as H. Craig Hanna. Maltese architecture has been influenced by many different Mediterranean cultures and British architecture over its history. 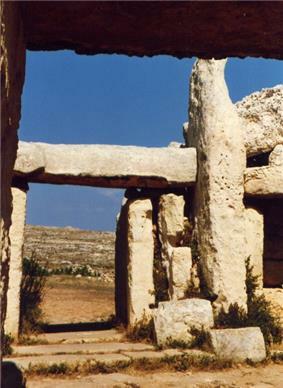 The first settlers on the island constructed Ġgantija, one of the oldest manmade freestanding structures in the world. The Neolithic temple builders 3800–2500 BC endowed the numerous temples of Malta and Gozo with intricate bas relief designs, including spirals evocative of the tree of life and animal portraits, designs painted in red ochre, ceramics, and a vast collection of human form sculptures, particularly the Venus of Malta. These can be viewed at the temples themselves (most notably, the Hypogeum and Tarxien Temples), and at the National Museum of Archaeology in Valletta. Malta is currently undergoing several large-scale building projects, including the construction of SmartCity Malta, the M-Towers and Pendergardens, while areas such as the Valletta Waterfront and Tigne Point are receiving renovation. It was late in the 1960s that Maltese literature experienced its most radical transformation among poets, prose writers and dramatists. Names of significant poets that stand out from the last quarter of the 20th century include Joe J. Camilleri led the avant-garde meanwhile among the prominent names in theatre are Francis Ebejer, Alfred Sant, Doreen Micallef, Oreste Calleja, Joe Friggieri and Martin Gauci. Primary schooling has been compulsory since 1946; secondary education up to the age of sixteen was made compulsory in 1971. The state and the San Andrea School and San Anton School in the valley of L-Imselliet (l/o Mġarr), St. Martin's College in Swatar and St. Michael's School in San Ġwann. As of 2008, there are two international schools, Verdala International School and QSI Malta. The state pays a portion of the teachers' salary in Church schools. Child Migrants' Memorial at the Valletta Waterfront, commemorating the 310 child migrants who travelled to Australia between 1950 and 1965. Detention costs for the first half of 2006 alone cost €746,385. 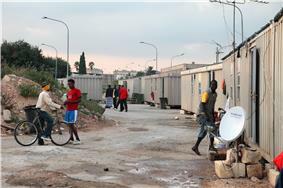 African illegal immigrants at the Ħal Far refugee camp. Zen Buddhism and the Bahá'í Faith claim some 40 members. Most congregants of the local Protestant churches are not Maltese; their congregations draw on the many British retirees living in the country and vacationers from many other nations. There are approximately 500 Jehovah's Witnesses; The Church of Jesus Christ of Latter-day Saints (LDS Church), the Bible Baptist Church, and the Fellowship of Evangelical Churches have about 60 affiliates. There are also some churches of other denominations, such as St. Andrew's Scots Church in Valletta (a joint Presbyterian and Methodist congregation) and St Paul's Anglican Cathedral, as well as a Seventh-day Adventist church in Birkirkara. A New Apostolic Church congregation was founded in 1983 in Gwardamangia. 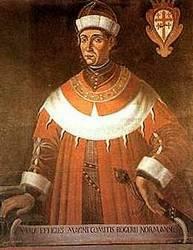 The patron saints of Malta are St. Publius Malta‘s first acknowledged saint (canonised in the year 1634) . Pope Benedict XVI canonised him on 3 June 2007. Also, a number of Maltese individuals are recognised as Blessed, including Maria Adeodata Pisani and Nazju Falzon, with Pope John Paul II having beatified them in 2001. 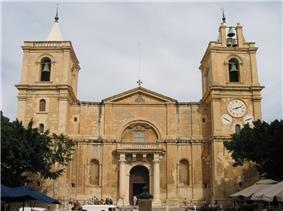 There are more than 360 churches in Malta, Gozo, and Comino, or one church for every 1,000 residents. 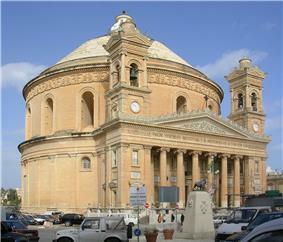 The parish church (Maltese: "il-parroċċa", or "il-knisja parrokkjali") is the architectural and geographic focal point of every Maltese town and village, and its main source of civic pride. This civic pride manifests itself in spectacular fashion during the local village festas, which mark the day of the patron saint of each parish with marching bands, religious processions, special Masses, fireworks (especially petards), and other festivities. Maltese is a Semitic language descended from the now defunct Sicilian-Arabic (Siculo-Arabic) dialect (from southern Italy). The Maltese alphabet consists of 30 letters based on the Latin alphabet, including the diacritically altered letters ż, ċ and ġ, as well as the letters għ, ħ, and ie. The population's age composition is similar to the age structure prevalent in the EU. Since 1967 there was observed a trend indicating an ageing population, and is expected to continue in the foreseeable future. Malta's old-age-dependency-ratio rose from 17.2% in 1995 to 19.8% in 2005, reasonably lower than the EU's 24.9% average; 31.5% of the Maltese population is aged under 25 (compared to the EU's 29.1%); but the 50–64 age group constitutes 20.3% of the population, significantly higher than the EU's 17.9%. Malta's old-age-dependency-ratio is expected to continue rising steadily in the coming years. Native Maltese people make up the majority of the island. However, there are minorities, the largest of which are Britons, many of whom have retired to Malta. 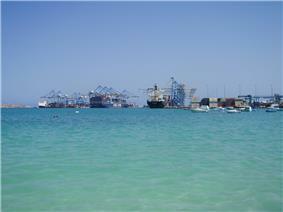 The population of Malta as of July 2011 was estimated at 408,000. As of 2005, 17% were aged 14 and under, 68% were within the 15–64 age bracket whilst the remaining 13% were 65 years and over. Malta's population density of 1,282 per square km (3,322/sq mi) is by far the highest in the EU and one of the highest in the world. To get this in a wider context, an average population density of 53 km² was found for the "World (land only, excluding Antarctica)" at WorldHeritage's List of sovereign states and dependent territories by population density based on data from July 5, 2014. Malta is a popular tourist destination, with 1.2 million tourists per year. Three times more tourists visit than there are residents. Tourism infrastructure has increased dramatically over the years and a number of good-quality hotels are present on the island, although overdevelopment and the destruction of traditional housing is of growing concern. 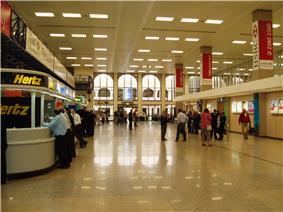 An increasing number of Maltese now travel abroad on holiday. Two further airfields at Ta' Qali and Ħal Far operated during World War II and into the 1960s but are now closed. 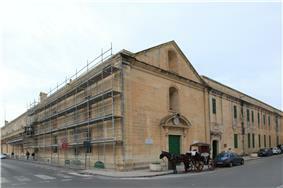 Today, Ta' Qali houses a national park, stadium, the Crafts Village visitor attraction and the Malta Aviation Museum. This museum preserves several aircraft, including Hurricane and Spitfire fighters that defended the island in World War II. The bus service underwent an extensive reform in July 2011. The management structure changed from having self-employed drivers driving their own vehicles to a service being offered by a single company through a public tender (in Gozo, being considered as a small network, the service was given through direct order). 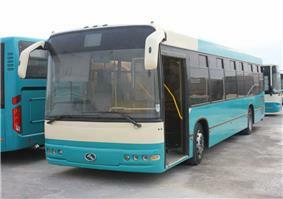 The public tender was won by Arriva Malta, a member of the Arriva group, which introduced a fleet of brand new buses, built by King Long especially for service by Arriva Malta and including a smaller fleet of articulated buses brought in from Arriva London. It also operated 2 smaller buses for an intra-Valleta route only and 61 nine-metre buses, which were used to ease congestion on high density routes. Overall Arriva Malta operated 264 buses. On 1 January 2014 Arriva ceased operations in Malta due to financial difficulties, having been nationalised as Malta Public Transport by the Maltese government, with a new bus operator planned to take over their operations in the near future. As of October 2014 the government has chosen Autobuses Urbanos de León as its preferred bus operator for the country, and although the agreement has yet to be fully determined and signed, it is planned that they will being operation in January 2015. Malta has 2,254 kilometres (1,401 miles) of road, 1,972 km (1,225 mi) (87.5%) of which are paved and 282 km (175 mi) were unpaved (as of December 2003). The main roads of Malta from the southernmost point to the northernmost point are these: Triq Birżebbuġa in Birżebbuġa, Għar Dalam Road and Tal-Barrani Road in Żejtun, Santa Luċija Avenue in Paola, Aldo Moro Street (Trunk Road), 13 December Street and Ħamrun-Marsa Bypass in Marsa, Regional Road in Santa Venera/Msida/Gżira/San Ġwann, St Andrew's Road in Swieqi/Pembroke, Malta, Coast Road in Baħar iċ-Ċagħaq, Salina Road, Kennedy Drive, St. Paul's Bypass and Xemxija Hill in San Pawl il-Baħar, Mistra Hill, Wettinger Street (Mellieħa Bypass) and Marfa Road in Mellieħa. Portomaso Business Tower, the tallest building in Malta. 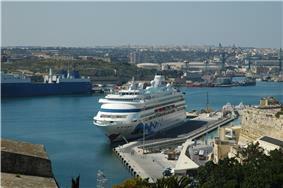 According to Eurostat data, Maltese GDP per capita stood at 86 per cent of the EU average in 2010 with €21,000. Occasionally in the media and official publications Malta is referred to as a city-state. Also, the Maltese coat-of-arms bears a mural crown described as "representing the fortifications of Malta and denoting a City State". Malta, with area of 316 km2 (122 sq mi) and population of 0.4 million, is one of the most densely populated countries worldwide. Sunshine duration hours total around 3,000 per year (the highest results in Europe), from an average 5.2 hours of sunshine duration per day in December to an average above 12 hours in July. This is about double that of cities in the northern half of Europe, for comparison: London – 1,461; however, in winter it has up to several times more sunshine; for comparison: in December, London has 37 hours of sunshine whereas Malta has above 160. Average annual temperature of the sea is 20 °C (68 °F) (the highest in the continent of Europe), from 15 °C (59 °F) in February to 26 °C (79 °F) in August. In the 6 months – from June to November – the average sea temperature exceeds 20 °C (68 °F). The average yearly temperature is around 23 °C (73 °F) during the day and 16 °C (61 °F) at night. In the coldest month – January – the typically maximum temperature ranges from 12 to 20 °C (54 to 68 °F) during the day and minimum 7 to 12 °C (45 to 54 °F) at night. In the warmest month – August – the typically maximum temperature ranges from 28 to 34 °C (82 to 93 °F) during the day and minimum 20 to 24 °C (68 to 75 °F) at night. Generally – summers/holiday season lasts to 8 months, starting from around mid-April with temperatures 19–23 °C (66–73 °F) during the day and 13–14 °C (55–57 °F) at night, ending in November with temperatures 17–23 °C (63–73 °F) during the day and 11–20 °C (52–68 °F) at night, although also in the remaining 4 months temperatures sometimes reach 20 °C (68 °F). Amongst all capitals in the continent of Europe, Valletta – the capital of Malta has the warmest winters, with average temperatures of around 16 °C (61 °F) during the day and 10 °C (50 °F) at night in the period January–February. In March and December average temperatures is around 17 °C (63 °F) during the day and 11 °C (52 °F) at night. Large fluctuations in temperature are rare. Also, Malta is one of the few places in Europe which are "green" all year round. Malta has a Subtropical–Mediterranean climate (Köppen climate classification Csa), with very mild winters and warm to hot summers. Rain occurs mainly in winter, with summer being generally dry. According to International Living, Malta is the country with the best climate in the world. Malta is an archipelago in the central Mediterranean (in its eastern basin), some 80 km (50 mi) south of the Italian island of Sicily across the Malta Channel. Only the three largest islands – Malta (Malta), Gozo (Għawdex) and Comino (Kemmuna) – are inhabited. The smaller islands (see below) are uninhabited. The islands of the archipelago lie on the Malta plateau, a shallow shelf formed from the high points of a land bridge between Sicily and North Africa that became isolated as sea levels rose after the last Ice Age. The archipelago is therefore situated in the zone between the Eurasian and African tectonic plates. The AFM also engages in combating terrorism, fighting against illicit drug trafficking, conducting anti-illegal immigrant operations and patrols and anti-illegal fishing operations, operating search and rescue (SAR) services, and physical/electronic security/surveillance of sensitive locations. 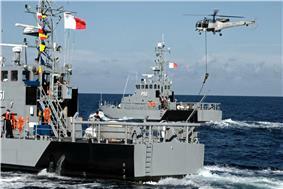 Malta's search-and-rescue area extends from east of Tunisia to west of Crete, covering an area of around 250,000 km2. Protector-class patrol boats of the Maritime Squadron of the AFM. Until World War II, Maltese politics was dominated by the language question fought out by Italophile and Anglophile parties. Post-War politics dealt with constitutional questions on the relations with Britain (first with integration then independence) and, eventually, relations with the European Union. Malta adopted a policy of Mikhail Gorbachev, their first face-to-face encounter, which signalled the end of the Cold War. Malta achieved its independence on 21 September 1964 (Elizabeth II as Queen of Malta and thus Head of State, with a Governor-General exercising executive authority on her behalf. In 1971, the Malta Labour Party led by Dom Mintoff won the General Elections, resulting in Malta declaring itself a republic on 13 December 1974 (Republic Day) within the Commonwealth, with the President as head of state. A defence agreement signed soon after independence (and re-negotiated in 1972) expired on 31 March 1979. 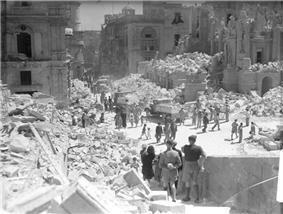 The heavily bomb-damaged Kingsway (now Republic Street) in Valletta during the Siege of Malta, 1942. The knights, led by Frenchman Jean Parisot de Valette, Grand Master of the Order, withstood a siege by the Ottomans in 1565. The knights, with the help of the Maltese, were victorious, and speaking of the battle Voltaire said, "Nothing is better known than the siege of Malta." After the siege they decided to increase Malta's fortifications, particularly in the inner-harbour area, where the new city of Valletta, named in honour of Valette, was built. They also established watchtowers along the coasts – the Wignacourt, Lascaris and De Redin towers – named after the Grand Masters who ordered the work. The Knights' presence on the island saw the completion of many architectural and cultural projects, including the embellishment of Città Vittoriosa, the construction of new cities including Città Rohan and Città Hompesch and the introduction of new academic and social resources. In 1530 Emperor Charles V gave the islands to the Knights Hospitaller under the leadership of Frenchman Philippe de Villiers de L'Isle-Adam, Grand Master of the Order, in perpetual lease for which they had to pay the Tribute of the Maltese Falcon. These knights, a military religious order now known as the Knights of Malta, had been driven out of Rhodes by the Ottoman Empire in 1522. Relatives of the kings of Aragon ruled the island until 1409, when it passed to the Crown of Aragon. 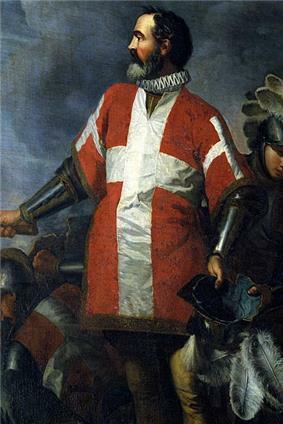 Early on in the Aragonese ascendancy the sons of the monarchy received the title, "Count of Malta". During this time much of the local nobility was created. However, by 1397 the bearing of the title "Count of Malta" reverted to a feudal basis with two families fighting over the distinction, which caused much distress. This led the king to abolish the title. Dispute over the title returned when the title was reinstated a few years later and the Maltese, led by the local nobility, rose up against Count Gonsalvo Monroy. Although they opposed the Count, the Maltese voiced their loyalty to the Sicilian Crown, which so impressed Alfonso IV that he did not punish the people for their rebellion but promised never to grant the title to a third party, instead incorporating it back into the crown. 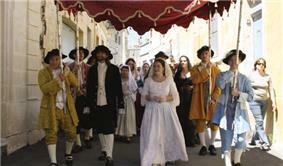 The city of Mdina was given the title of Città Notabile as a result of this sequence of events.